She was a sweet ride. 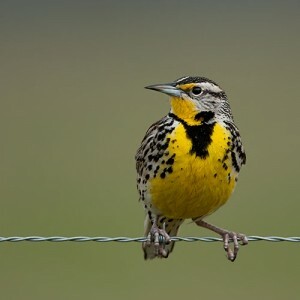 Yellow as the breast of a Western Meadowlark, the state bird of Wyoming, from where she hails. Built for comfort up top by White Motors in 1937, with reliability underneath (her chassis is a Ford motor home! ), she can accommodate up to 14 passengers. 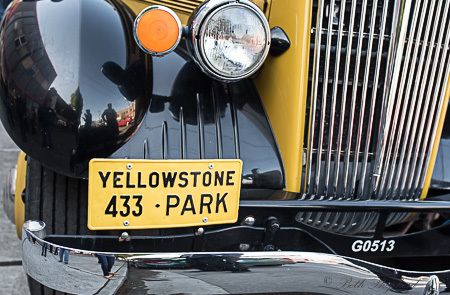 She is–the Yellowstone National Park Touring Bus. And, an enthusiastic guide he was, as we took a tour of Seattle’s SoDo neighborhood. 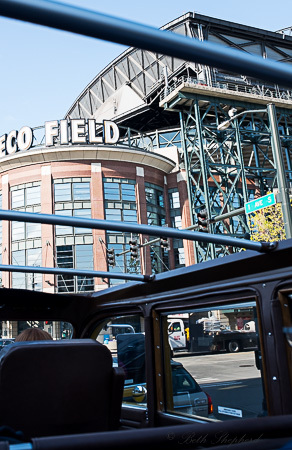 We rumbled in style past Safeco Field, where any wild animals in the area gave a wide berth. Not a single unwelcome visitor appeared at our bus windows asking for handouts, in contrast to some of the stories our guide regaled us with. When I asked him if the bus ever experienced “close encounters” with big game, Leslie said yes indeed. Until 1970 people who rode the touring buses frequently fed bears, even though it was (and still is) against park regulations. Until, one day, as a former bus driver Jerry Pessman was telling the tourists on his bus, “Please don’t feed the bears,” and turned around to find a woman–just behind him–feeding a bear from her bus window. He swung out his arm and cold-cocked the bear, who promptly headed for the hills. After that Jerry became famous for being the first, in the park’s history, to perform such a feat of derring-do. During our 20-minute tour, Leslie told us the Yellowstone Touring Bus runs tours along the figure eight roads in the park every day, except in the early spring and late fall when most of the roads in the park are closed. 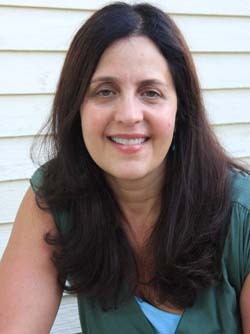 Leslie reminded us that while tourists come to Yellowstone to see Old Faithful, Yellowstone’s reliably erupting geyser, and the big mammals–spectacular megafauna–that roam the park such as bears, moose, elk and wolves, the parks true aim is to protect and preserve the wildness of the park. That’s why they don’t want people feeding bears from the bus, or any other place they might run across them, and that’s why the park rangers themselves never feed wild animals–even those who may be starving or appear to be in desperate need, because they don’t really need the “help” of humans, and have managed to survive for centuries without it. If you get to Wyoming and Yellowstone, make sure to take a ride on the Yellowstone Park Touring Bus. The wheels on the bus go round and round, round and round…all through the park. This experience was complimentary and provided by Wyoming Office of Tourism, but all opinions expressed are my own.